Writing is something I deeply miss. It was my outlet through the toughest years of my life. It truly was my voice when I couldn't speak, and an escape when I couldn't face my reality. It was an instant community when I couldn't trust those physically in my presence. 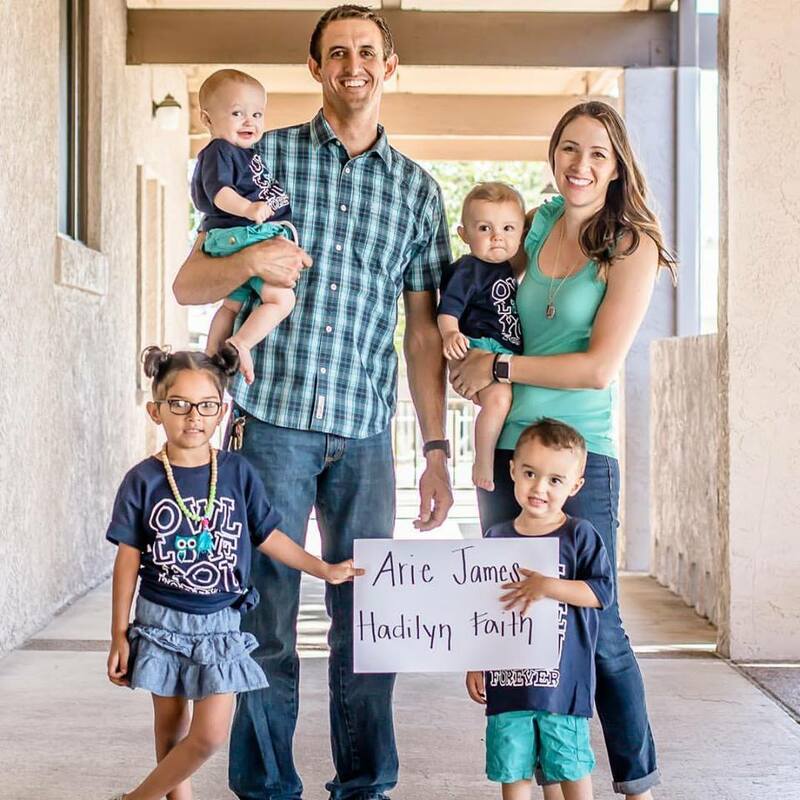 It became my platform for helping others through infertility, miscarriage, and infant loss. But, what it hasn't been is a place for me to be me now that I have earthly children. I have never wanted to write about my living children on here. Not to keep them a secret, but out of compassion for those still waiting to become mothers on earth. Arie, not Ferrari or any other nickname, is my husband. He is my rock, my high school sweetheart, and truly my best friend. When I began blogging, he didn't care to be mentioned and that's when I started referring to him as Ferrari. 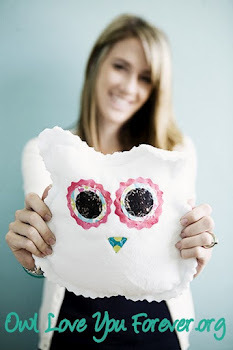 Funny thing though, people started thinking it was his real name... and there may have even been a time when a newspaper wrote an article about Owl Love You Forever and mentioned how it was founded by Ferrari and Shayla Van Hofwegen, haha, oops! Arie and I are excited for this new season of life. No more babies, no more thoughts of infertility treatments, no more high risk pregnancies and bed rest; just our crazy crew doing life together. We will be celebrating our 10th anniversary soon, and it's pretty amazing to see where God has brought us and what He has brought us through. In 10 years He has blessed us with 10 kiddos, 6 in Heaven and 4 on earth... and we are definitely beyond blessed! I am making time for ME this year, time for me to focus on being a better wife and mom. Time to process who I have become these past 10 years, and how I can continue to grow in to the women God has created me to be. Writing is going to play a part in that, and I will find a platform for it, but for now this may be the last post on Wegen Tales. If only I could get pregnant. If only a doctor could diagnose me. If only I could maintain a pregnancy. If only I could fall asleep without crying. If only others could understand! If only I could get comfortable. If only I could find a good pediatrician. If only I could calm his colic. If only I could sleep through the night. If only I could get my husband to understand I need a break! The two lists may sound different, but they are both my lists. From different times, different seasons of my life, if you will. I have struggled with writing on here in the past because of my now having living children. How can I relate to someone that has lost a baby or is experiencing infertility? Why would they want to hear from me, a woman with two children here on earth. It's a constant struggle, but I have learned that writing is my outlet and I have kept too much pent up for too long. I need to write for me. I in no way intend to hurt anyone's feelings by posting about my living or heavenly children. Either way, all of those 7 kiddos make me a mom. I hope they have each taught me something different, and prepared me in a way to connect with many different women. Lately, I have been feeling so exhausted that I almost feel numb. Maybe I am purposely exhausting myself on one front, to keep myself busy. But regardless, in the back of my mind, I know what dates are coming up. I know that with spring comes Mother's Day and the twins' birthday. But this year, it also comes with Enzo's birthday. My Mr. Miracle will turn ONE, a mere 3 days prior to my twins' 5th birthday. Their 5th birthday, can you believe they would be going to kindergarten next year? The epitome of an emotional roller coaster. I have to admit, I CAN NOT wait for Enzo to turn one. Some of you reading may know how hard this year has been with him. He has kept me on my toes, literally since the moment he was born. From day one he has needed special care. Enough jaundice to need bili-blanket therapy, colic, special formula, suspected dairy allergy, reflux, visits to the GI, plagiocephaly resulting in a helmet, lip and tongue tie procedures, anaphylactic reaction to yogurt, RSV, reflux returning, feeding refusals, multiple food allergies, food challenges, and eczema, oh the dreaded eczema. Although not one of his issues have ever been a major health issue, each one stacked on top of each other has, at times, felt like the weight of the world. I will be SO happy to reach the 1 year milestone with him. It will some how feel like an accomplishment. One that I desperately need! I have had quite a few people share with me how upset they are that his first year has been so hard. Everyone stating the same reasoning, we "deserve" to have something come easy after what we have been through. But, in all honesty, we don't deserve anything. What we have been through, is what A LOT of couples have been through. We are incredibly blessed to have had the opportunity to birth our own biological living child, regardless of what his first year of life has looked like. There are SO many that do not have the opportunity to experience that. We have also had the AMAZING opportunity of adopting our beautiful daughter, where financially speaking, SO many couples just can't. I will say it again, we are incredibly blessed. God has chosen us for this journey, and for that we are GRATEFUL! Forever Grateful! I don't know what this May will look like. I don't know how I will emotionally cope. It feels incredibly different now, with my arms full but still an emptiness in my heart. I DO KNOW God will bring me through, just as He has done through everything. If you are experiencing similar questioning to that of my first list, please don't give up. Don't let the constant wondering and questioning keep you from living. You never know what the future holds, what even next month's pregnancy test, ultrasound, or non-stress test will indicate. Focus on today, focus on what you can do with the strength of Christ. If you are more on the lines of the second line of questioning, try changing your thought process to include If only...for this time. All of these hard times with your baby will pass. All of these tough sleepless stages, will turn in to toddler tantrums in no time so try and soak in every moment you can. I would gladly trade my potty training woes for the barrel rolling infant that won't let you change their diaper :) That colic may have lasted 5 months, but it too went away- a month before teething began ;) My point being, there will always be something hard going on. You will always be challenged with different stages, so don't let the anger and resentment steal your joy from today. Being a Mommy is tough, don't try and do it alone. God uses these daily struggles to turn our eyes to Him. LIVE today and don't wait for tomorrow. We aren't guaranteed another day! Are you harboring resentment or anger towards someone, forgive them and move on. Mend broken relationships so they don't distract you. Spend your energy on helping someone else, focus on bettering someone's day instead of filling yours with negative thoughts. Do not wait for someone to be diagnosed with a serious condition, a car accident, or something that puts life in perspective as a result of a bad prognosis. God did not intend for us to live this way! He often shakes things up and gets us to realize things by using a specific event, but we can make the change today without a tragedy! Literally, over the past week I have encouraged my sister through her friend's loss of her mother to breast cancer, set up a prayer page for my dear friend diagnosed with breast cancer, prayed for another friend's son who was diagnosed with cancer this weekend, and today received a call about a precious little boy that has the same type of cancer as my nephew. Now, I don't know about you and what is going on in your life but talk about a slap in my face, the other cheek, and practically upside my head from every angle. God is clearly opening my eyes to hurting people. When life gets comfortable, God gets a movin and a shaken! I am obviously too comfortable, and I am ready and willing for God to use me in new ways. This cancer thing is insane, and EVERYWHERE! It does not discriminate, it attacks anyone at any age and at any stage in life! As a Mommy of 2 young children and being physically separated from all these friends by quite a few miles it sure would be easy to throw my hands up and say there is nothing I can do. I wouldn't be able to live with myself if I did that. Instead, I am making a prayer board in my kitchen. Somewhere I can visually see all these HUGE needs as I spend my days doing dishes and changing diapers. I can most definitely PRAY! I plan on talking the Big Guy Upstairs' ear off! He is going to hear from me daily about each of these families. I have no excuse! I will do my part in helping these hurting families. Please join me in praying too! I know each of these families will appreciate it! If you are pregnant for the first time after overcoming infertility or are pregnant with your precious rainbow baby, you can gain something from this too! There is no need to focus negative energy on something that hasn't happened. Focus your energy on the living child inside of you! Spend each waking moment praising God for this blessing, instead of fearing what may or may not happen. Love this child every day you are blessed to carry him or her. It is MUCH easier said than done, but it is possible. Pray God gives you the strength to get through each day, and for hope that tomorrow your child is still healthy and living in you! Ask friends to pray LIFE into your unborn child. This may sound completely crazy depending on your background, but trust me it helps! It will bring you SO much peace having family and friends pray on your behalf. Don't be afraid to ask for prayer! It is the easiest and most helpful thing someone can do for you during a pregnancy! God is listening, and He most definitely cares so pour your heart out to Him. I promise the days may feel long, but like parenting living children outside the womb, the years are short. Trust me, that pregnancy is going to fly by and you will begin to long for those amazing flutters inside you again. If you aren't familiar with how to pray, I encourage you just to chat with Him. He is our Father, but he is also our Friend. You certainly know how to call or text a friend when you need something; so try that out with Him. So far from the birth and death of Arie and Hadilyn, so far from the depths of the deepest grief a Mommy can know, and so far from the start of Owl Love You Forever! Every time someone close to me experiences the loss of a baby, it brings me right back to May 24, 2010. Not in a bad way, just in a way that keeps the feelings and emotions alive in me. It doesn't upset me, or hurt me when something is brought up. Losing my twins was what hurts, not bringing up their memory. 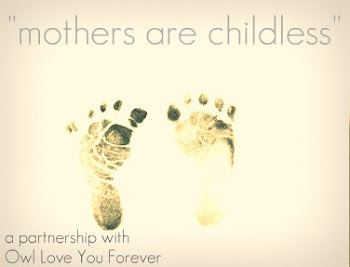 Today being National Pregnancy and Infant Loss Awareness Day, the memory of my twins is vivid and at the fore front of my mind. We were blessed on their birthday to have lots of pictures taken. Sure, not every picture is great- ok most are good at best but I CAN NOT fathom even deleting a single one from that day. So, there are a few hundred to go through :) But, every so often I open the folder and flip through the images. And most times tears roll down my cheeks as I focus on their miniature features and their micro-preemie sized clothes. However, today I was awestruck at all the other people in the photos. As I flipped through, there are dozens of friends, family, and even extended family at our bedside. We ARE so blessed to have had that much support on THE hardest day of our lives. We are beyond blessed that there are hundreds of others that have lifted us up since that day! We have an entire church behind us, praying us through the tough times and rejoicing with us and celebrating our 2 living children. Can you imaging going through such an enormous loss without the Lord and without a good support system? But there ARE women doing this alone! I can literally feel my heart break for them. Who will dry their tears and surround them with the peace that passes understanding? Today is filled with lots of emotions. Anger, bitterness, guilt, sadness, emptiness but also joy. Joy that I got to finally hold two of my children in my arms on that day in May. Joy that today we have come SO much farther than where we were on October 15, 2010. It is still a bit taboo to talk about a child that has died, but with social media and SO many women banding together to stand up and say their child's name and to break the silence; we are on the right path! We aren't done yet, and there is still lots of work to be done. If you have lost a child, consider doing something tangible in their honor. Not only today, but all throughout the year! I can't explain how much healing I have received from starting Owl Love You Forever. Being able to tell their story and share about their lives no matter how short they were! Focusing on other families grieving the loss of a child, truly fulfills me and brings purpose to my babies' lives. I can "mother" them on this side of heaven, by supporting others in their honor. No family should ever have to go through this, and I don't have the power to stop it from happening again. BUT, I do have the power to stand up for these families. I can vow to do my part to help them not feel alone. To be there for them in their greatest time of need. To be a voice in the darkness when they feel abandoned by their friends or family. I can direct them to the Lord, because He is truly who carried me through those dark days. What can you do? What can you do in honor of your child, niece, nephew, grandchild, or sibling? 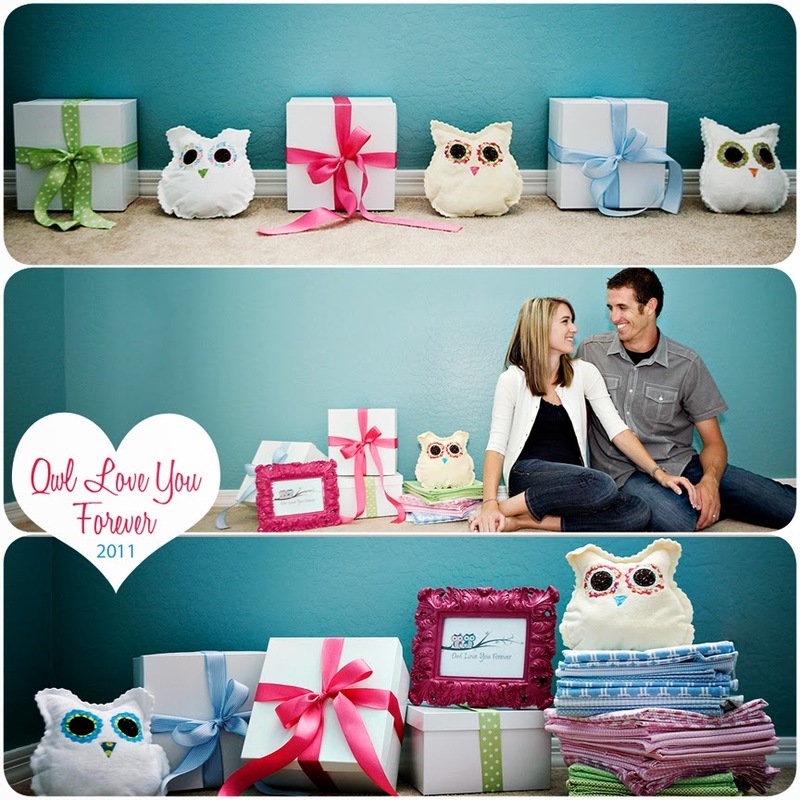 Owl Love You Forever is focused on providing care boxes to every family that loses a baby in the state of Arizona. That is hundreds of boxes being donated a year. That means, hundreds of supplies needed. OLYF is extremely low on supplies, so please consider making a donation in an angel baby's honor! Also, check out their WISH LIST as of today! 1. Fill her arms with something to hold. 2. Initiate communication, "How are you today?" However, don't push conversation, she'll talk if she wants/needs to. 3. Don't say, "I know how you feel." 4. Listen, even if what she has to say is something she has said a hundred times. 5. Always use the name of her child. 6. When words fail, share silence or a hug. 8. Remember, you can always give your Presence & Prayer. 9. Give Kleenex, a CD, book, or personalized piece of jewelry with the child's name engraved. 10. Don't use the phrases "Everything is going to be ok" or "God just must have a different plan for you." They hurt more than they help. The Tale of Audie Lynn's Arrival!